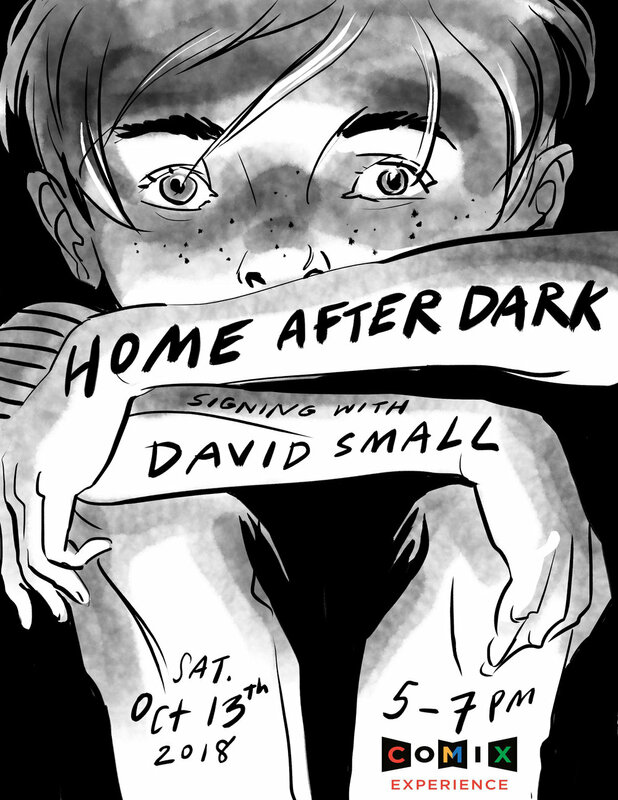 Comix Experience is thrilled to host illustrator Christine Larsen to sign her new book, By Night, on Sunday, April 28th at 11am. In conjunction with the Kid's Graphic Novel club, we're absolutely thrilled to bring you writer and illustrator Mai K. Nguyen to sign her heartwarming new book, Pilu of the Woods! Please join us in welcoming this incredible new talent! Comix Experience is genuinely thrilled to bring you creator Kelsey Wroten signing her new book CANNONBALL on Wednesday May 22nd from 5 to 7:30 PM! 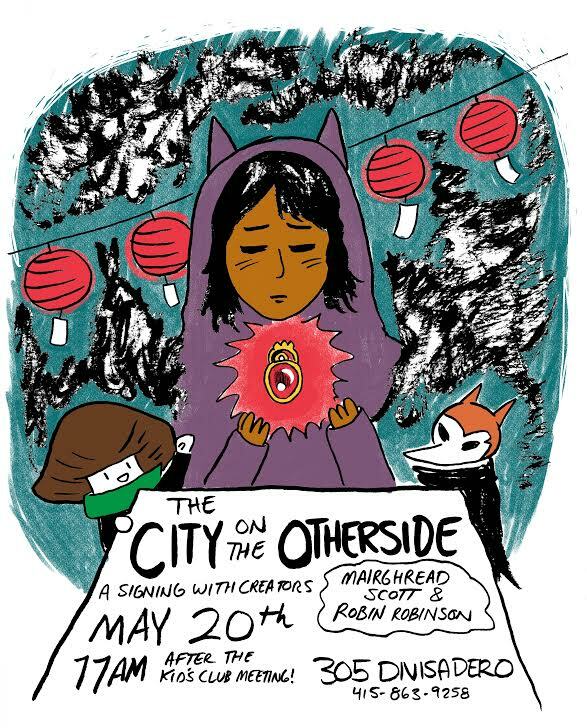 Comix Experience is extraordinarily proud to bring you author Maia Kobabe and eir new memoir GENDER QUEER on Wednesday June 19th from 5 - 7:30p. This is a major new book, and we could not be happier to feature it as our Graphic Novel Club selection for June! In celebration of our 30th Anniversary, we will be having a 30% off sale at both store locations on Monday, April 1st! 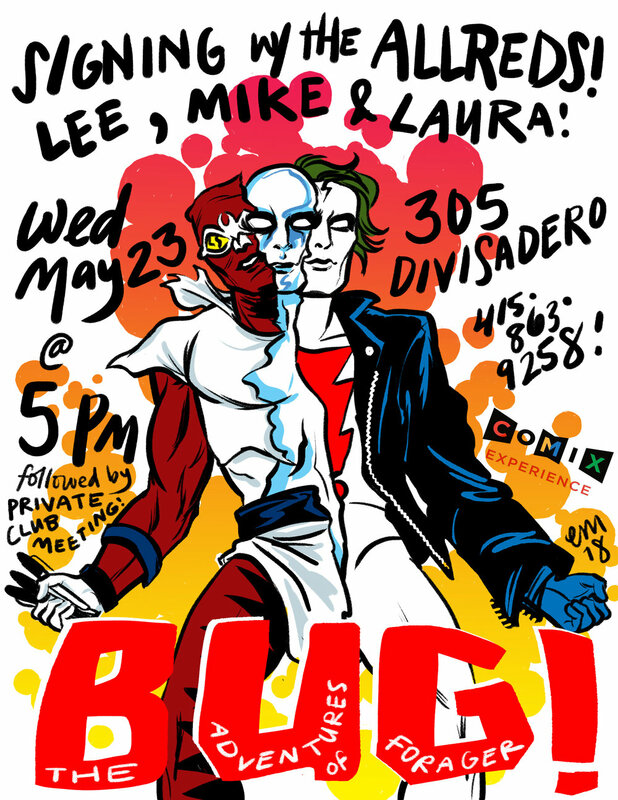 Join us at 305 Divisadero on Saturday, March 30th for a 30th Anniversary Party starting at 6pm! We are so thankful for your support and patronage all these years and we can't wait to celebrate with you! 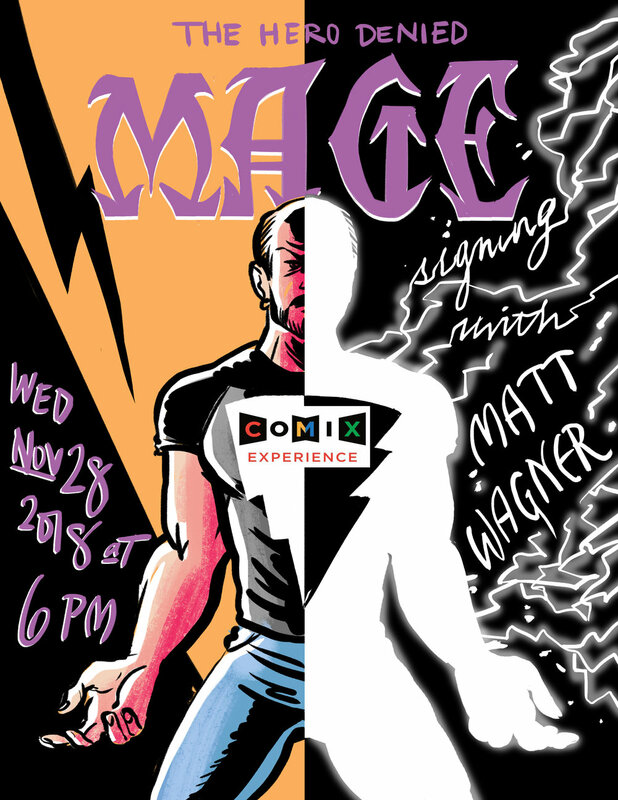 Come share a toast and some laughs as we look forward to many more years of great comics. 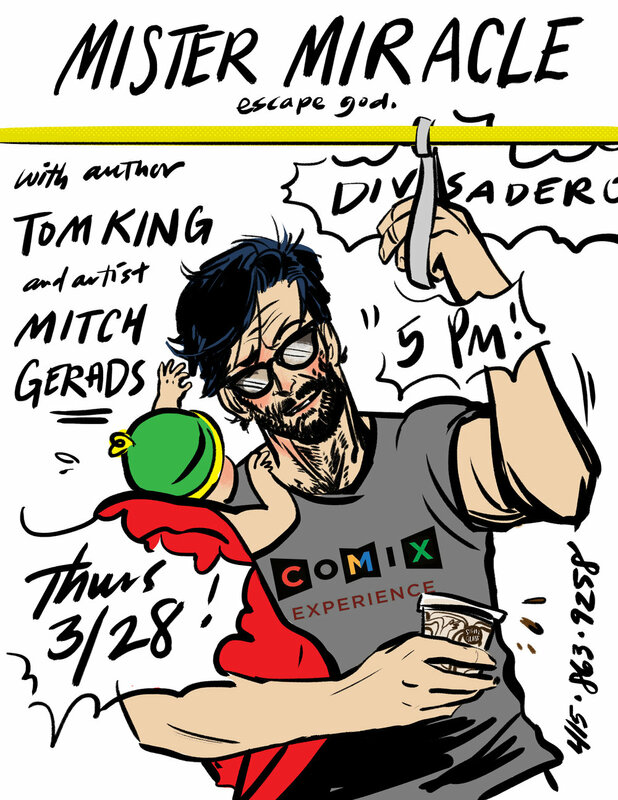 Comix Experience, 305 Divisadero St., in San Francisco, is entirely excited to bring you the Team Supreme of Tom King and Mitch Gerads to sign their new book, MISTER MIRACLE, on Thursday, March 28, 2019 from 5 to 7:30 PM. 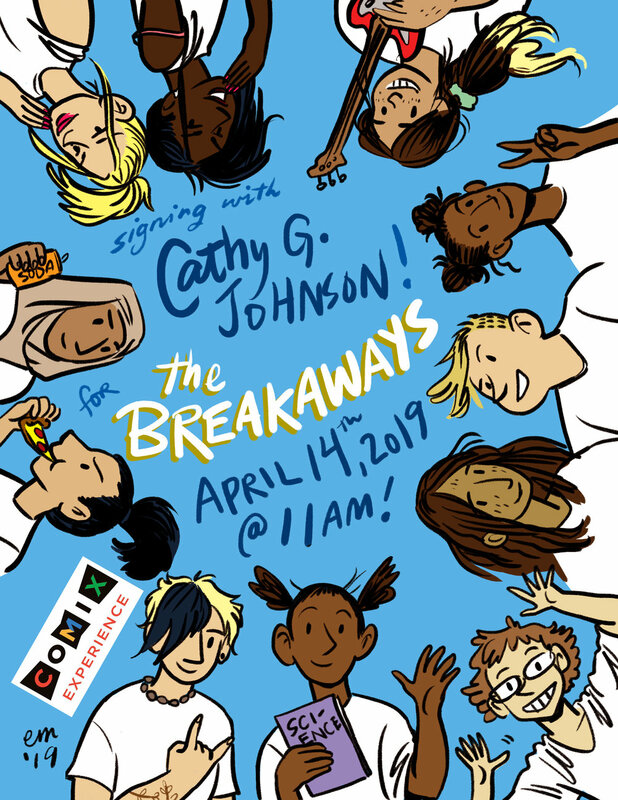 Join us Friday, March 8th at 8pm to enjoy crafts and good company as we celebrate womxn in comix! 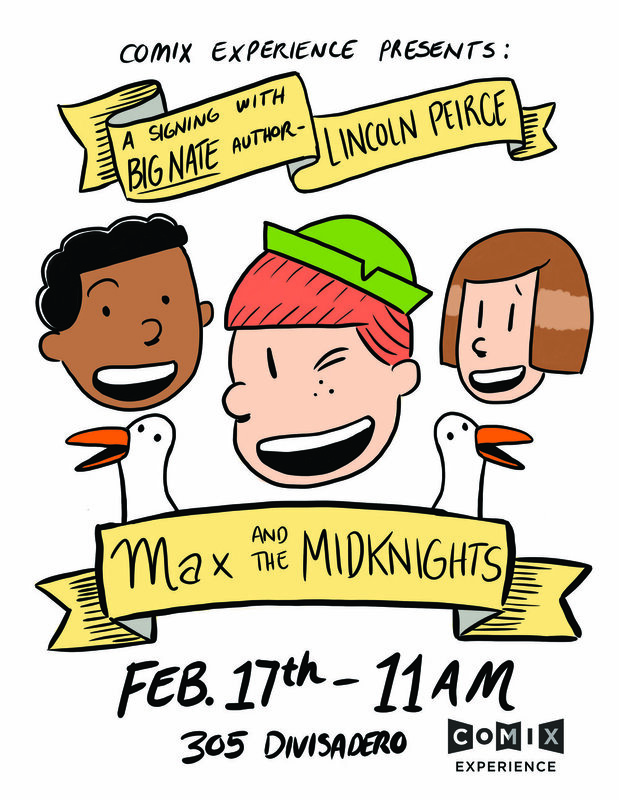 Comix Experience could not be more pleased to present best-selling author Lincoln Peirce (BIG NATE) to sign his newest awesome creation: MAX & THE MIDKNIGHTS! 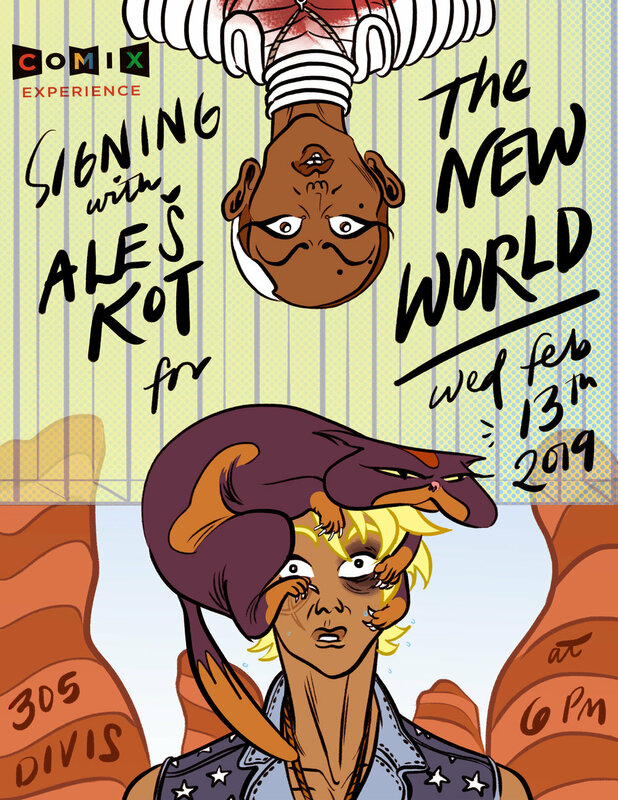 The Kid’s Club (www.graphicnovelclub.com/kids) will be holding a private Q&A prior to the start of the signing, and there’s still time to join and be part of the conversation! Kid’s Club members get preference in the signing line. 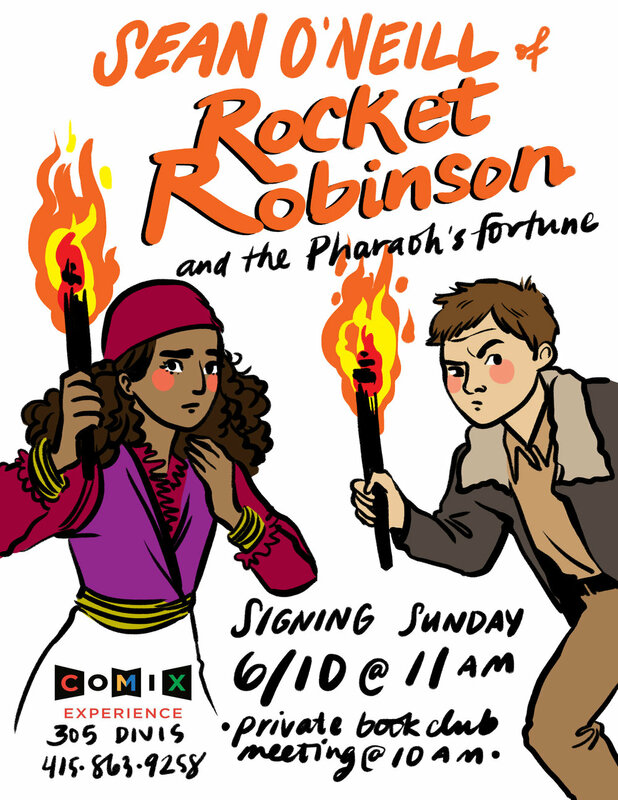 We expect a significant line to meet Mr. Peirce, and we do require a purchase of a copy of MAX & THE MIDKNIGHTS to be able to meet him. 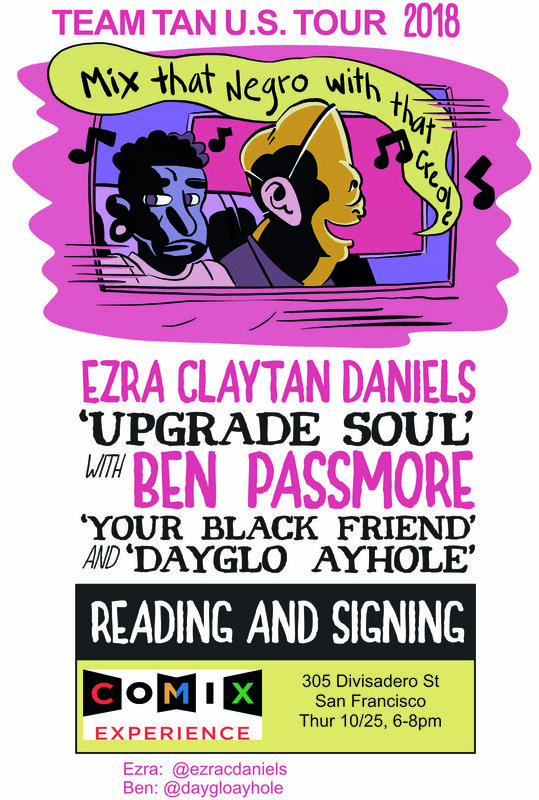 Feel free to bring up to TWO other books to have him sign! Kent Silveira signing MY SUMMER WITH THE HAWAIIAN FIRE GODDESS! We're very excited to announce that Kent Silveira will be here at Comix Experience on March 18, 2018 to sign his first all-ages graphic novel MY SUMMER WITH THE HAWAIIAN FIRE GODDESS (Alternative Comics)! 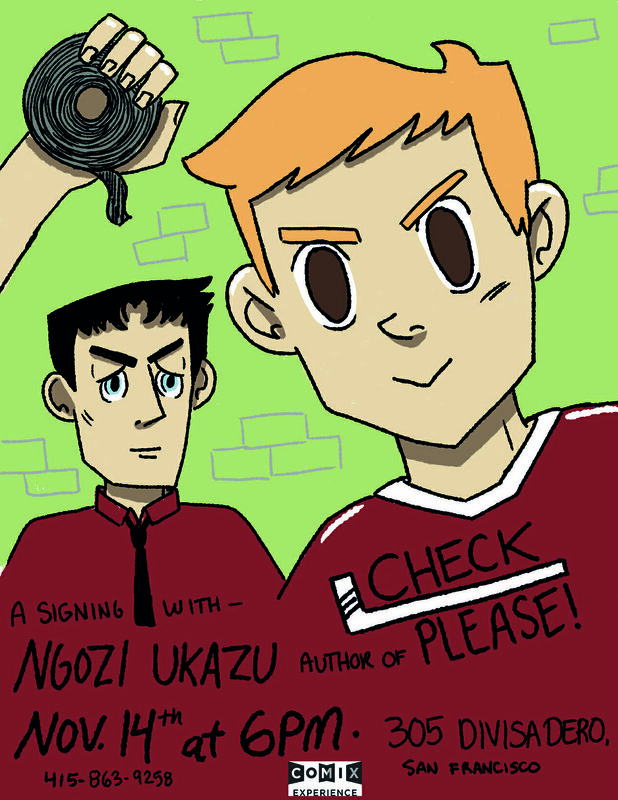 The signing, which will be open to the public, will take place at 11am, following the Graphic Novel of the Month Kids Club meeting, which is open only to Kids Club members. To learn more about the Kids Club, visit graphicnovelclub.com/kids. Hope to see you there! About MY SUMMER WITH THE HAWAIIAN FIRE GODDESS: On the island of Oahu two estranged step-siblings find a mysterious white dog who belongs to Pele, the Hawaiian Fire Goddess. Ancient rivalries are re-kindled, throwing Tamino and Timera into a race to save all of Honolulu from the elemental furies of wave, lava and frost. It's a good thing they have kui kui nuts, a dog, and a Thesaurus.